Surveillance Server - How to View Video Real-time - Details of an answer | Buffalo Inc. Follow this procedure to view the video as it is being recorded by the network camera. Note: Live Viewer data cannot be viewed. Click [Start] - [BUFFALO] - [BUFFALO Surveillance Server] - [Live Viewer]. For Windows 8, click the [Live Viewer]. 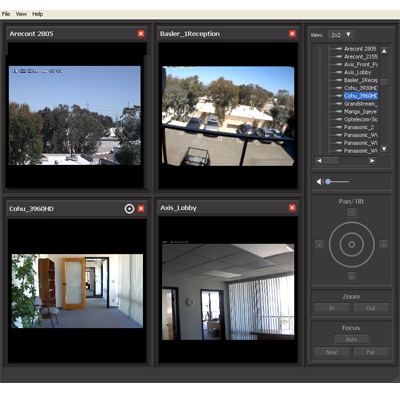 Registered network cameras are listed in the Camera folder on the right side of the screen. To view content of a video that is currently being recorded, double-click the camera whose video you want to view or drag to a frame of the camera viewer on the left side of the screen. This completes viewing current video.